Just wanted to say thank you. The lads here today have worked their socks off all day and left everywhere tidy. It really is appreciated. Very impressed with service and assistance provided by both your office and engineer. Just wanted to say thank you for the new Boiler Fit Yesterday. All very happy here at Premier with standard of the work carried out. Just a quick thank you as we had a customer without water up Birch Hill today and found the problem to be a leak on an external pipe. Anyway after speaking to your office staff who kindly passed my number onto one of your engineers (Gareth), he was on site within half an hour. A great customer focus by your team and I thought it deserved a mention in very busy times for you with the extreme cold weather. Could you pass my thanks on to the rest of the team please. We have just had our old boiler replaced by a modern Worcester Bosch boiler fitted by AW Renewables . The fitters were very reliable and helpful and did an excellent job. The boiler works very quickly and the house is nice and warm with plenty of hot water. Many thanks to the AW team. I would like you to pass on my thanks to your 2 engineers who fitted my boiler on Friday. I found them both to be very professional and were very tidy. Rich has completed the Boiler services. Please advise Ashley that it was a pleasure to have him in the building (quiet and efficient). Thank you for the help and professionalism you, your father and your team gave to our bathroom. It was a great effort given that I was away dealing with a family bereavement. We love our bathroom and now we are in and the bedroom is complete it was well worth the time and disruption coming up to Christmas. I have recomended you to a couple of people and will do so going forward. Excellent service in quote and installation of Worcester Boiler plus Hive controller for our bungalow. Work all completed within the day to a high standard. People friendly and everything tidied up on completion. Install was a year ago and everything still working perfectly. To taking order to finishing job, could not fault them. Highly professional, job completed on time. My expectations are high & they exceeded them. They also had plumbers & electricians who respected my property, i.e. wore indoor shoes & left the site as they found it. My wife was also very impressed. They were not local to where I live but were highly recommended by my joiner. Brilliant job. Very professional friendly staff, top quality work. Total price was as quoted, no extras. Punctual and can highly recommend to anyone. Had a new combi boiler, shower and log burner. Impressive service. Firstly, top marks for finding address in a fairly remote part of North Wales! Arrived on time. Professional, courteous, patient, reliable. Willing to return at a later date because problem could not be solved first visit. Very reasonable charges. Calls to the office dealt with in a competent and friendly manner by Nicola. (Thank you, Nicola!). Very reasonable charges. Trust this firm with your life. If all businesses behaved in this way, the world would be a better place. Did an excellent job on our bathroom. Very clean and tidy team. Very pleased with our new bathroom. Brilliant job. An exceptional level of service. Small job, but given priority. Arrived to fit a washer within twenty minutes of contacting them. Your engineers did a fantastic job here on Saturday and I am 100% pleased with the results and the service you have provided. Please let them know their work and effort are appreciated. Just want to let you know your lads did a great job on our new boiler and radiators today, quality of the work is really good and left the house cleaner that they found it, pass on my thanks. I will be recommending you to everyone in the future. I would just like to thank Ashley and his team for the work they have done for us over the past few months. AW have on a number of occasions covered everything from changing the bath and sink taps, boiler repair, and gas safety certificates to fault finding and a new boiler install. As a landlord and property manager, finding reliable trades can sometimes be a little tricky. Every time AW have been extremely prompt and completed the work to an awesome standard. The communication from both the engineers on site and the office has also been impeccable. If you are looking for a reliable and effective plumbing and heating firm in the Chester and North Wales area, AW Renewables are the guys to speak to. Thank you Ashley. As a happy customer I will continue to recommend you are your team wherever possible. Brilliant job. Gave time of arrival and arrived on time. Completed job with no disruption or mess. Tidied up after themselves, brilliant. My partner was just out of hospital and they stayed until 8:45pm in order for him to have heating. Polite lads and I would recommend them to anyone. Having met Ashley a few years ago at a networking event and asking him to fix a tap washer in our office, we sat down and he told me about his business. When most people think about Plumbers they think one man in a van... AW renewables are the opposite to this. They literally do anything to do with plumbing. They are fast, reliable and very good at what they do. They have since sorted a number of issues we have had in both our offices along with having completed two very high end bathrooms in my parents' house. This truly showcased their dedication and skill as with it being a very old house Ashley and his team had a lot of unexpected issues to deal with. They managed to solve these issues with no fuss and provide a fantastic end product. I have and will continue to recommend Ashley and his company to anyone who needs a company that provides a service that is fast, reliable and goes beyond the normal that we expect from a plumbing company. Polite, professional & tidy.The job was to replace a failed water heater. A W Renewables, a local firm, were invited to quote. Quote was accepted & date arranged to replace heater. On the appointed day, the engineer completed the work professionally & removed the old heater in a tidy manner. I'd like to compliment you on your perfect service and your engineer , Richard. His quiet, pleasant and efficient manner was most impressive. He's a credit to your company. Creating a pair of Wow bathrooms!! We would fully recommend AW for the quality and care and attention to the work, time is taken to get a outstanding result, corners are not cut . We had two bathrooms refitted, which involved building work, new plumbing, complete new bathrooms and tiling floor to ceiling all work to the highest standard. The design process with the 3D drawings allowed us to visualise the outcome that came in on budget, a special thanks to the whole team, and to Steve for endless task of tiling to large rooms floor to ceiling. I highly recommend AW Renewables, they take pride in their work, deliver a high quality service and are always courteous and pleasant. They respond quickly to requests and are keen to help at all times. It is with my sincere thanks that I am writing to you for installing a new boiler in my home last Saturday the 10th September. The existing old boiler which was a Vaillant was definitely nearing the end of its working life, but had served its purpose really well over the last 17 years. I do realize that this latest type of L.P.G. Boiler will be much more efficient and cheaper to run, therefore a I am getting older will save me money on the gas to the future. The two young men (the fitters or installers) worked really well and efficiently last Saturday. and I converyed my sincere thanks to both of them as they left. They had travelled a long way here to Anglesey from Wrexham. I also realize and understand that Natural Green Energy is funded by the Government to help to make homes more efficient in running costs. Please can I ask you to pass on my personal sincere thanks to whoever was behind supplying this boiler, and installing it in my home. I am absolutely delighted with its performance after only a few days use. As I draw this letter to a close I am truly thankful and appreciate all of the service and kindness shown on this occasion. Extremely good work and good to deal with. We are very impressed with the speed and efficiency and pleasant service from your engineers. Prompt & professional. A very professional company. No hesitation in recommending to friends. Fair-priced and reliable. A W Renewables Ltd have been great to deal with from the first phone call to billing. They have up to date communication methods; a friendly office; arrived on time; mended my boiler efficiently and e-mailed my bill. Just a quick note to say how pleased we are with the work that has been done in our house today when fitting the new boiler, cracking job and Kim was happy because there was no mess! Thanks to Ashley and his team for going the extra mile to sort out my boiler over a bank holiday weekend. A pleasure to deal with and the lads did an excellent job and worked hard. I also appreciated Ashley's honesty and integrity with some of my other enquiries regarding renewable energy sources. Thanks for the quote for a new boiler. We have decided to leave it for now as the old one seems to be running so much better since your engineer, Rich, came to mend it. Just wanted to say how impressed we've been with your company. Your communication is brilliant; the engineer was here on time and dealt with the problem: and e-mail billing is so convenient for us. We will be more than happy to use you again and recommend you to our friends and family. Their recommendation was justified. Quick, efficient, reliable, supportive. Will use again. Not being on mains water, my water supply is via a pump and tank in the garden. The pump had finally given out, having worked heroically for well over 20+ years, leaving me with no water supply at all. Having been left high and literally dry by another plumber after nearly a week, I turned to AW Renewables in desperation and they managed to fit me into a very tight pre-Christmas work schedule, work off some exceedingly poor quality photographs I supplied to identify the pump, source and acquire an equivalent pump when lots of businesses were closing for the holiday and get a couple of friendly, polite and talented young chaps around to fit it within less than 48 hours. They were neat, tidy, efficient, friendly, polite, on time and very helpful. Many thanks from a very happy customer, currently listening to the washing machine filling with water with a stupid smile on her face. You are now No 1 on my list as the plumber to use. Many thanks for completing this job for me. I'm really impressed with the quality of the work and the attention to detail shown by your plumber. I was really pleased to receive an email from John, the purchaser of Plot 4, yesterday. Clearly all the Castlemead team and our subcontractors have made an excellent impression on him. Can I take this opportunity to thank you for the work put into the homes at Llangollen, they have been finished really well and are a credit to the effort that was put into them. If you can pass this on to anyone that was involved. Thank you, your company employees who carried out the work did an excellent job. I and my wife were really pleased and won't hesitate in recommending your company. I know you thought I was the customer from hell but I do appreciate the lovely job your company did. The insurance company paid me £300 in compensation but I wasn't happy and went through the Banking and Finance Ombudsman in November. They have upheld my complaint and I have now received £3800 additional compensation maing over £4000 in total. As you do a lot of work for different people, some of whom have had problems with their insurance companies, then I hope you bear this in mind and encourage people to take it up with the Ombudsman Service and make use of their helpline. Please pass on the enclosed monies to your workers. All the tiling is wonderful, the making good of the floor and skiring boards are really realy lovely. We would like to take the opportunity to say thank you very much to you and your team for the excellent service and work carried out in the run up to Christmas. I appreciate that it is a time of year when you are exceptionally busy, however you assured us the boiler would be replaced and you did not let us down. Josh did an excellent job with the power flush on the Sunday and Matthew and Owen worked tirelessly on Monday 22nd December to ensure the old boiler was out and the new one in within the day. Matthew has done a superb job with the installation of the new boiler and I am very grateful to him for going the extra mile to accommodate my request to set it back as far as possible, with everything back in place it sits perfectly in place of the old one. We are very pleased with the performance of the boiler, the central heating is circulating better than ever easily reaching radiators that we thought would never get more than luke warm before. The hot water is also greatly improved with a much more constant temperature. My many thanks to Ashley. Problems solved and corrected. Great when someone comes and knows what they are doing. Just to say thank you for sorting the boiler. Your lads did a tidy job and we're really a credit to your company. They were polite, efficient and tidy. Thanks. Thank you for the efficient service today and compliments to Richard. I thought his efforts to sort the first problem out were excellent and I was totally impressed. The job is almost complete and I just wanted to say how pleased I am with your three engineers - they are very polite and helpful - and the installation is really, really neat - a work of art! I'm really impressed. Thank you very much. Thank you for your prompt service. Your technician who attended to us was most professional and courteous. The Boiler was serviced in no time, and he offered good heating control advice. Thanks, we hope to be making use of your services again when required. I enclose the balance of payment for the bedroom conversion with thanks to you and all of the workers involved. I am delighted with the result of the work and am beginning to enjoy the benefits. The work was carried out in a timely and efficient manner which is pleasing for us. Ashley and his team installed a log gasifying boiler and new radiators in our (formerly) cold house last year. Ashley gave really helpful advice in choosing the best heating system for our home and the installation is superb. Ashley and the team are spot on. Highly recommended. Thank you very much for my lovely bathroom. I’m so pleased with it, and your workmen. They were so friendly and left everywhere so clean and tidy. Thank you very much for the efficient service and repair. I have used AW Plumbing and Renewables on several occasions for boiler installations, landlord gas safety certificates, boiler servicing, fault finding for showers and boilers, and the installation of additional radiators. I have found them to be efficient, reliable and competitively priced, and the service is friendly and informative. I confirm that I have dealt with AW Renewables for over 6 years, during which time they have provided us with an excellent service in plumbing and heating works. Their service has been a major part within our company as we provide a reactive call out service for a major facility management company. They have worked safely within our client's safe system of work without incident and have completed all works to a satisfactory standard and on time. Their staff are polite, courteous and always leave the site clean and tidy. I can confidently recommend AW Renewables as a solid and reliable supplier, and experts in their field, and will be continuing to use them in the future. We have been working with AW Renewables for a number of years now. They have carried out numerous jobs for us over that time. During 2013 they installed work to the value of £200 000 on boiler installation contracts we had under the Energy Company Obligation (ECO). We continue to work with them and have even recommended them to family and friends. During our relationship with AW Renewables, we have always found them to be punctual, efficient and professional and have always met our standards and expectations. These have to be to PAS 2030 and our ISO9001. We have no problem in recommending them. Should you require any further information please do not hesitate to get in touch. For many years now, AW Renewables has been our preferred contractor for all our plumbing and heating requirements. They provide properly costed estimates and liaise well with us and other trades on site to ensure a positive experience for the customer. Their quality of work is excellent, using good quality materials/appliances, and if problems arise during a project, they are always prompt in turning out to rectify any problems or accommodate the needs of other trades on site. They also offer excellent follow up and service cover for boiler installations for examples, keeping customers aware of when servicing is required. All work is covered by the required certification. Dave Kelshaw, for G Construction (UK) Ltd. I just wanted to say that your team were exemplary in both their work and customer service today when installing our new boiler. I would like to thank you for installing a new shower to my home recently. I understand the job was more complicated than normal because our original shower had not been installed properly and had been leaking over time with the back wall of the shower becoming rotten. I can only thank you for your professionalism in the way you answered my queries and dealt with paperwork required by my insurance company and got the job done as soon as possible. This is not the first time I have used AW Renewables Limited and it won't be the last. I have always found your work to be of the highest standard. I asked Ashley to repair my daughter’s gas central heating boiler. In the cold weather two weeks’ ago after the boiler stopped functioning, there were arctic conditions in the house and there was no hot water either. One of Ashley’s team turned up the same day and overhauled the boiler only to find that an essential valve was faulty and gas was leaking. Ashley’s team had quite literally saved our lives! Through no fault of theirs it took a week for the part to come in so sleeping bags and showers at friends were the order of the day. The day the part arrived, a couple of the team came immediately to replace the part and turn on the heating. Bliss! AW Plumbing combines expert technical service with excellent customer service. I would fully recommend Ashley and his team for any plumbing jobs, major or minor. When we realized we needed a new boiler I contacted five separate companies to supply quotes; some of whom were slow to respond to our request. Very soon after our request we were visited by the owner of AW Plumbing, Heating & Renewable Energy Ltd. As we had a fairly old boiler Ashley gave us clear advice on the options available and soon afterwards provided us with a written quotation. Having felt comfortable with his company I had no hesitation in offering him the business and the outcome is that we are extremely happy with all the work his team carried out, and the follow-up visit we requested about another issue. We were told the work would be completed in one day, and it was. His team cleared up all the mess they had made and left the house at the end of the day with a Worcester Bosch system that we feel extremely pleased with. I have found this company to be extremely reliable, punctual, and cost effective and the team that completed the work in our house were all friendly and professional. AW Plumbing has done an excellent job, at a reasonable price; I would have absolutely no hesitation in recommending them to other home-owners/businesses. I will be using this company again for any further plumbing/heating work we require. Just like to say, thank you very much for fitting our stunning bathroom! We love it and have been very impressed with the service from start to finish from you and all your team. Everyone has been friendly and professional and we wouldn't hesitate to recommend AW to others. Thank you for the work that you did recently in fitting a new shower, pump and repair to the boiler. I would like to mention the courtesy and excellent work done by the team. They are always very polite and a pleasure to have in the house. I can't recommend this company enough! AW worked incredibly hard and to a high standard on our full renovation! They worked around us which was most important for our needs! All of the plumbers we came into contact with at AW were very friendly, competent, trustworthy and punctual. We felt confident in leaving them to work on the plumbing whilst at work and were always pleased with the results when we returned. We will always use AW in the future if needed. I would like to say that the installation of our new central heating boiler by AW Renewables was carried out most efficiently and swiftly by your team. I would have no hesitation in recommending Ashley and his team to anyone who requires central heating work. I would like to give a personal recommendation to anyone considering placing plumbing work with Ashley Wilson and his company AW Plumbing Heating and Renewable Energy. I asked Ashley to resolve a long standing issue with my central heating system involving a couple of radiators failing to operate properly. His comprehensive knowledge and experience ensured that the problem was solved quickly and efficiently. I can recommend Ashley Wilson and his company AW Plumbing Heating and Renewable Energy with confidence. Last Friday evening we arrived back from a week away (camping for the last two days) and looking forward to a nice hot shower, only to be thwarted by a lack of hot water and a pilot light that wouldn't light. Having tried various things we called Ashley for first aid. Despite being away and watching Manchester United playing a match at the time (yawn), Ashley texted us back and found the time to arrange for Jonathan to call round first thing the next morning to get the water and heating back on. Although he was not able to fit the new part needed immediately (but put on order there and then via the internet) Jonathan was able to bypass the problem part and get the boiler lit and up and running again, so I am now clean! Thanks for the great service and please use me as a referral for anyone who may be considering your company as their heating and plumbing engineer and wants a fast reliable provider. Thank you for providing your plumbing services at such short notice at 24a and 24b Percy Road in February of this year. Your company carried out the work when another plumbing company were unable to complete their work as originally planned on the date agreed. Any delays would have caused considerable problems on site likely losing contractors to other contracts. Your company carried out plumbing services to a very good standard and I am happy to recommend your services to other parties. We recently decided to upgrade our home’s heating and hot water system to the latest Worcester Bosch combi-boiler system. We were somewhat concerned about having this job done in winter, with the disruption it would be likely to cause as there would be no heating or water whilst the work was carried out. Ashley assured us that the system would be installed and commissioned in one day and this was achieved – quite a task! The team arrived as arranged, before 8.30am and left before 6pm with the system working perfectly. We are delighted with the work, which included fitting thermostatic valves to the radiators and fitting a heated towel rail in the en-suite shower room. We now have a more efficient system with much better water pressure and a 10 year parts and labour warranty. I have no hesitation in recommending AW Renewables to family, friends and business contacts for plumbing, heating and renewable energy work. May I take this opportunity, to thank you for the excellent work that you have done at my properties. This is always performed professionally and efficiently. Any additional costs are agreed in advance and Ashley always tries to keep costs to a minimum. I would therefore, have no hesitation in recommending Ashley to any of our associates. Once again Ashley, many thanks for the great service. Thank you for your help with the flooring samples etc. Please convey our thanks to all the team for their work. The room is lovely and warm, the shower works a treat and has been much admired by the family. Thanks for coming out today - all nice and toasty here now . I am so impressed with the job and speed of completion, no fuss and just getting on with things. Radiators are great and boiler working a treat. Thank your chaps for making my daughter feel so comfortable having them around. It makes such a difference when you are home all day having people who are easy to have around. Once again my thanks to you and your team. Will not hesitate to recommend your services if I get the chance. I would like to thank you for the work carried out on our new kitchen installation and replacement/repositioning of radiators. All work was carried out to a very high standard with minimal disruption to ourselves, and all done on time as per agreed schedule at very competitive rates. I would have no hesitation in recommending your services to other people and are more than happy to be referred to for references. Just a quick thank you letter to express our gratitude for your swift and professional services provided at both the CITS building and at my own personal holiday cottage; and apologies for it taking so long to write it down! Whilst the name of Worcester Bosch and the 5 year warranty as standard is reason enough to use AW Plumbing and Heating, the additional service you provided when our gas ran out and all the pipes froze was certainly over and above the call of duty and enabled us to get paying guests back in within a matter of hours. If the service wasn't enough, the price was another pleasant surprise when we realised we didn't have to pay a premium for an 'emergency call out'. Great service, great price. I have no hesitation in recommending AW Plumbing and Heating (and Renewables) to any business or individual. Ashley and his team came to my elderly mother's home to supply and fit a new central heating boiler. They performed this task quickly and efficiently, completing the job in a single day, the actual boiler supply and fit was complicated by the need for a new roof flu, new radiator valves and the fitting of a new thermostat. Ashley's team attacked this with total professionalism and good humour. All of his team were polite and professional at all times, making sure that at the end of the job, there was no evidence of the work that had been carried out and finished to a high standard. I would have no hesitation in using Ashley's company, or indeed in referring him to my friends and family. Thank you to Ashley for and efficient, competitive and friendly service. I just wanted to thank you for sorting out our new boiler as quickly and efficiently as you did, you and your team are super-efficient and did the job with the absolute minimum disruption, with our new boiler fully installed and working in just a few short hours. I also really appreciate that as you are Worcester Bosch approved installer, our boiler has a much longer than usual guarantee, backed by Worcester Bosch. What really impressed me though, was not the actual boiler installation, but the fact that you had tried your level best, over the preceding weeks, to keep our old boiler going, and you were not simply 'out to sell a new boiler'. I would have absolutely no hesitation in recommending you to anyone looking for a first rate plumbing company. I thought I would just send you a quick note to say how pleased we are with the heating: it is brilliant. The thermostat in the hall is set at about 21 degrees and the radiator thermostats are on 3 (we used to have them on 5). I don’t think the old boiler has been working properly for years. Hot water on tap is a real bonus because it was only ever on for a bath and then switched back off (heaven now). As you can tell from this message I am chuffed to bits – thanks. I will pass your name on to anyone that needs to re-look at their heating. Just a note to say thank you for repairing our gas fire. All work was done quickly and professionally and at a reasonable cost. I would have no hesitation in recommending you, it’s hard to find such competent plumbers who actually turn up when they say they will! When my boiler of 10 years expired in April 2011, I needed a replacement not just quickly and hassle free but also at a reasonable price!! Ashley Wilson of AW Plumbing, Heating & Renewable Energy Ltd had nursed the original boiler for as long as possible and was best placed to quote for a replacement. The Worcester Bosch boiler we now have is using far less gas then the original unit, approximately one third, which is having a marked impact in lowering our gas bills. The team fitted the boiler within hours with no fuss and no mess. It is with this in mind that I have no hesitation in recommending Ashley. Thanks for a brilliant job replacing our boiler, very happy with all work. Will not hesitate in passing your number on to friends and neighbours. We have recently had a complete new central heating system installed by Ashley Wilson and his team. The quality of the work carried out was of an extremely high standard and at a reasonable cost. We would like to thank you for the professional way you have dealt with the various items of work we have passed to you; they have not been major but they were dealt with promptly and professionally. We have no hesitation in recommending your company's services and we will continue to do so. 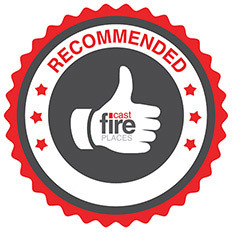 I just wanted to thank you for sorting out our boiler as quickly as you did, and really appreciated the fact that you went to a lot of trouble to fix it and did not just take the 'easy option' of fitting replacement parts unnecessarily, which has saved us a lot of money. I would recommend your services to anyone who wants a top notch plumber, who goes the extra mile in customer service. I have recently used the services of Ashley Wilson and his team for some general plumbing work. I have been pleased with the work undertaken and would have no hesitation in recommending their services to others. The system is now working brilliantly and I would like to thank you for your prompt attention and wish you all the very best for the New Year. Sincere thanks for the work that you carried out on our boilers. As usual you were able to come out at short notice and tackled the job with the kind of confidence and competence that confirms to us that you know exactly what you're doing. Thanks again for your help and I would have no hesitation in recommending your services to other businesses and individuals. Many thanks for repairing our boiler so quickly and efficiently. May I take this opportunity to express my thanks for the superb job you did in repairing my central heating system. The speed in which you dealt with the whole issue was truly remarkable, at a very reasonable cost with no inconvenience to us. I would certainly recommend your services to any of my friends or colleagues in future. Once again thanks for a superb job done. May I take this opportunity to thank you for the excellent service we received in repairing our heating system in Llangollen, thankfully we now have hot running water and heating! The fact that you were with us first thing the following morning after our phone call at 9.30pm made us feel valued and I would have no hesitation in recommending your services to others. May I take this opportunity to thank you for the excellent work you did on the installation of both of our bathrooms. Throughout the project you offered professional advice in order to meet our needs and the work was carried out quickly with minimum disturbance to us. I would have no hesitation in recommending your services to other people requiring a similar service and look forward to forging a strong working relationship, always confident in your ability to provide fantastic service for anybody that I recommend you to. I would like to thank you for the service that you provided for my clients, which was above and beyond the call of duty. You received a call on Thursday prior to Good Friday on my recommendation from my clients to see if you could help out. You very kindly gave up your time with your family and went and inspected the system on the Friday and submitted your report, which allowed the sale to proceed. My Clients were full of praise for the service and advice you provided. I understand that you are carrying out additional work for them at the new property. You know as well as I do, that when you make a recommendation, it is it is your own reputation that is on the line. You have not only gained a very satisfied customer but you have also enhanced my reputation for which I would like to thank you. I have no hesitation in recommending you to my clients. We’ve been able to call on AW Plumbing, Heating and Renewable Energy on a number of occasions recently with faults in both our central heating and our kitchen sink. On both occasions the service was great, we were kept informed of what was planned, and despite awful weather conditions, the faults were rectified promptly. Last summer we also had our boiler serviced, we saw things being done to it that previous engineers had ignored. In terms of responsiveness, knowledge, flexibility and reliability, AW have delivered on every occasion, because of this they are our preferred contractor - we would recommend them unreservedly. We have used Ashley and his team since February 2008 and are extremely pleased with the quality of work, punctuality, communication and value for money they provide. They have completed a diverse range of projects for us including full central heating systems, gas and oil boiler replacement, solar panel installation, bathrooms, kitchens and general plumbing. We would highly recommend their services. It took us seven years to decide to change from electric storage heaters to a much more convenient and efficient heating system, fearing the chaos and upheaval of such a big job. We need not have worried. Ashley and his team work diligently to get the job done with the minimum of fuss and disturbance. It’s no exaggeration to say that the level of comfort and convenience that we now enjoy has transformed our lives completely. I have and will continue to recommend their services at every opportunity.